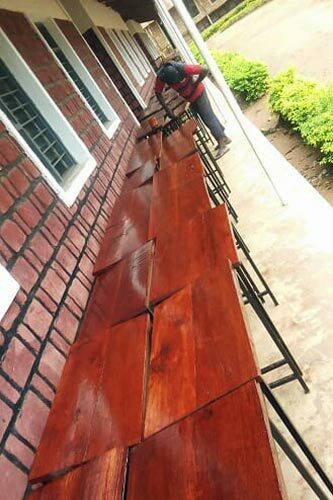 Tunamkumbuka Secondary School is one of the four ‘Ikimba Project Schools’ in Kagera Region, supported by TDT with assistance from Hilden Charitable Fund. 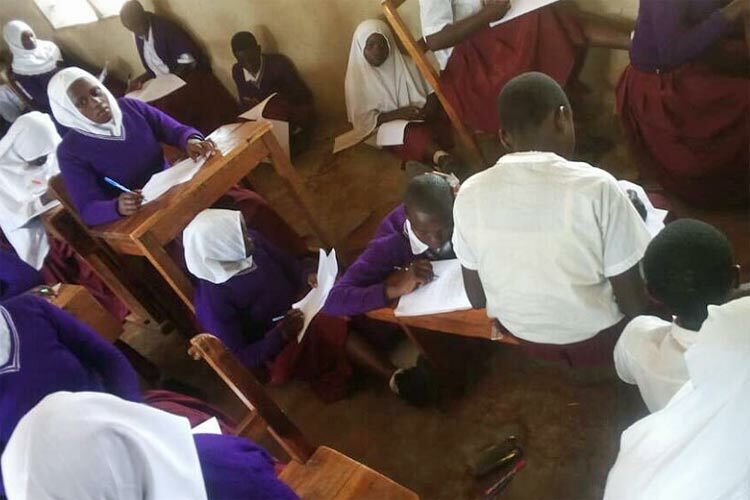 The school had one of the highest national improvements in examination pass rates last year. 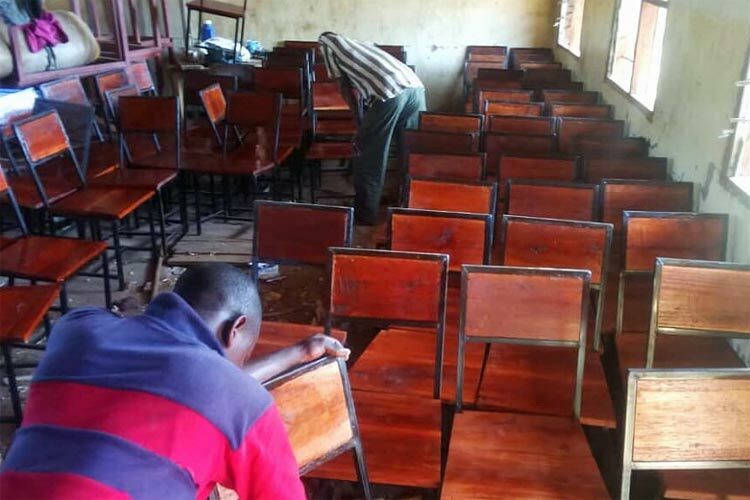 This success, and a national trend of increasing class sizes in Government Secondary Schools, partly as a result of more access to Primary education, had resulted in considerable pressure on classroom accommodation and seating. 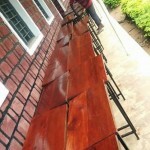 With funding from another trust, Tukae Tukae, TDT was able to respond positively to a request from acting Headteacher Robert Kasaaju for seating and desks, leading to a better teaching and learning environment, and more flexible class management. 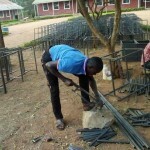 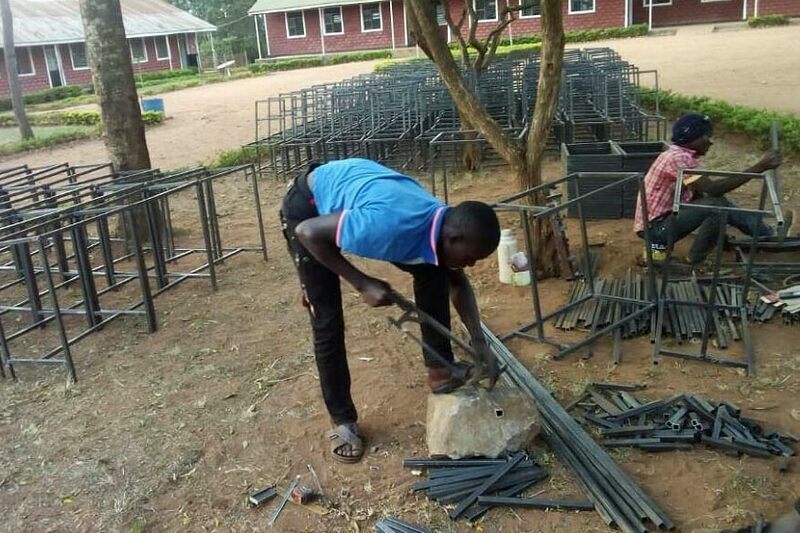 The photos below show the cramped classroom conditions before the work; a parents’ meeting; and work by local ‘fundis’ making up table and chair sets from steel sections – an amazing production line! 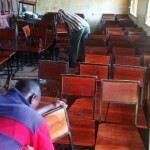 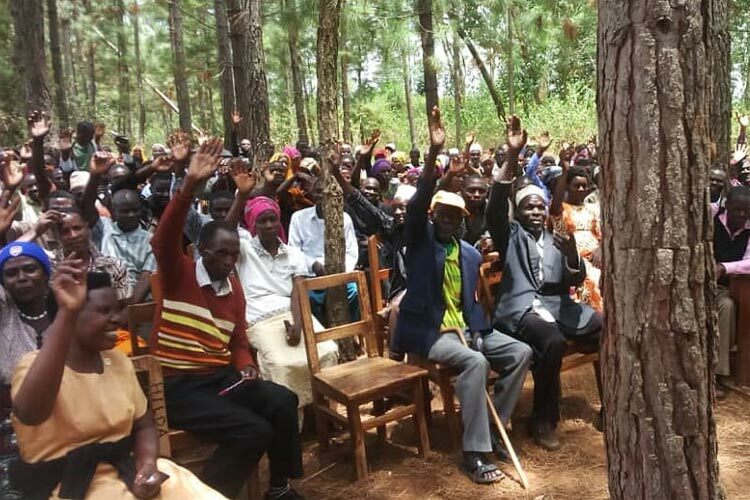 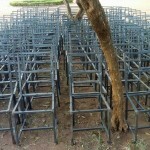 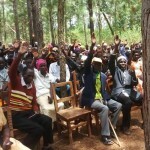 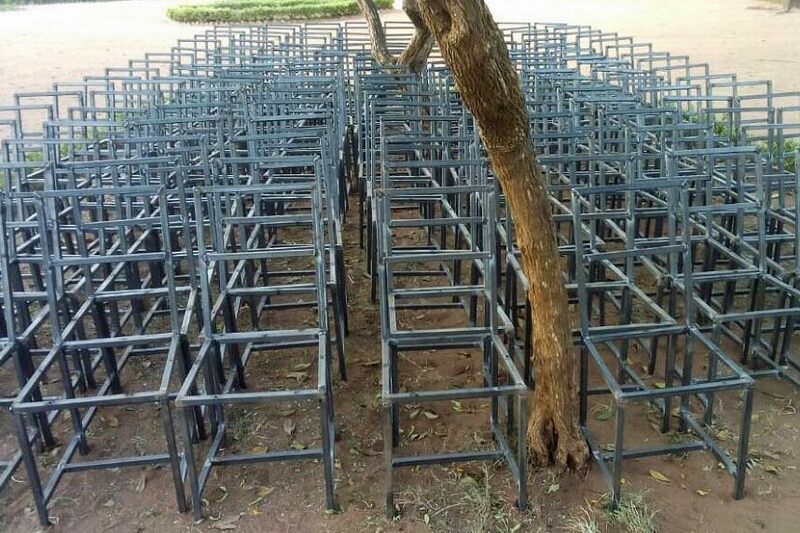 “We have remained with the deficit of only 27 chairs and tables. 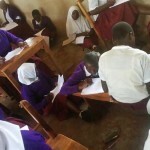 We also informed parents to try their level best to cover that deficit… after having those 27 from parents all 510 students will be sitting comfortable… May God bless you.